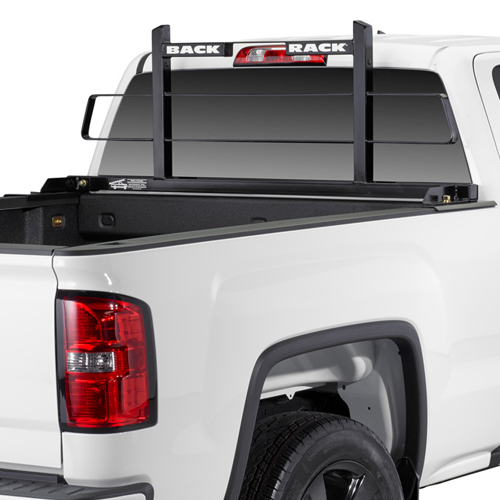 BackRack Pickup Truck Cab Guards, Headache Racks, and Window Protectors keep flying objects and shifting loads from damaging your truck's rear window and cab. 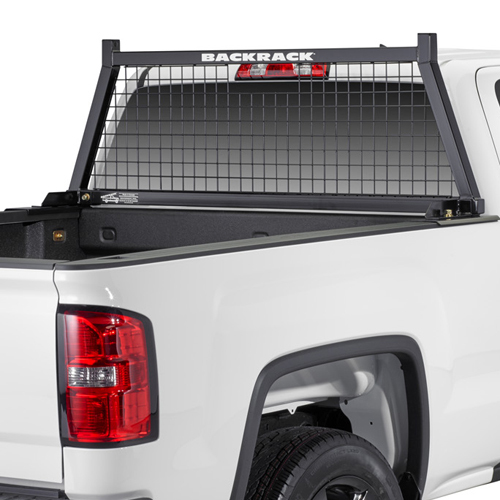 BackRack's Original Cab Window Guards and Safety Rack Steel Mesh Window Guards are each available in 2 styles: Standard BackRack Window Guard, BackRack Window Guard with a Toolbox Mount Kit, Standard BackRack Safety Rack and BackRack Safety Rack with a Toolbox Mount Kit. 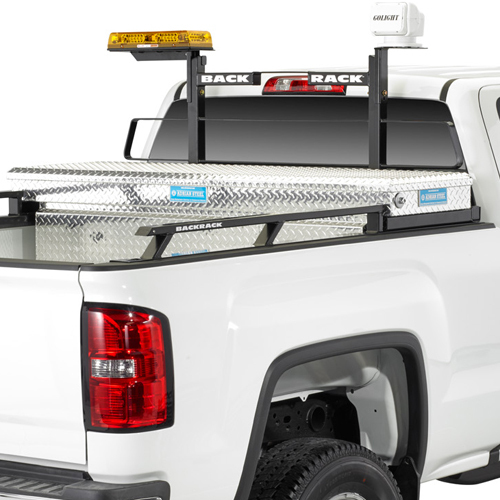 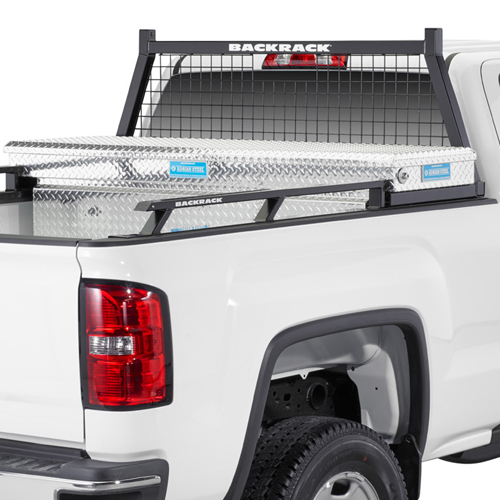 Original BackRack Cab Guards and Safety Rack Headache Racks make great additions to the look and utility of your truck, and are available now from RackWarehouse.com.